TBR is comprised of members primarily from Chester County, Pennsylvania. However, the team’s membership stretches east to west from Philadelphia to Lancaster and north to south from Ithaca, NY to Delaware. In 2007, Todd Strauss (team president i.e., “El Presidente” and local business owner) and Bill Showers (local rider and general endurance junkie) led 13 team riders to a respectable inaugural year against a field of much larger teams. 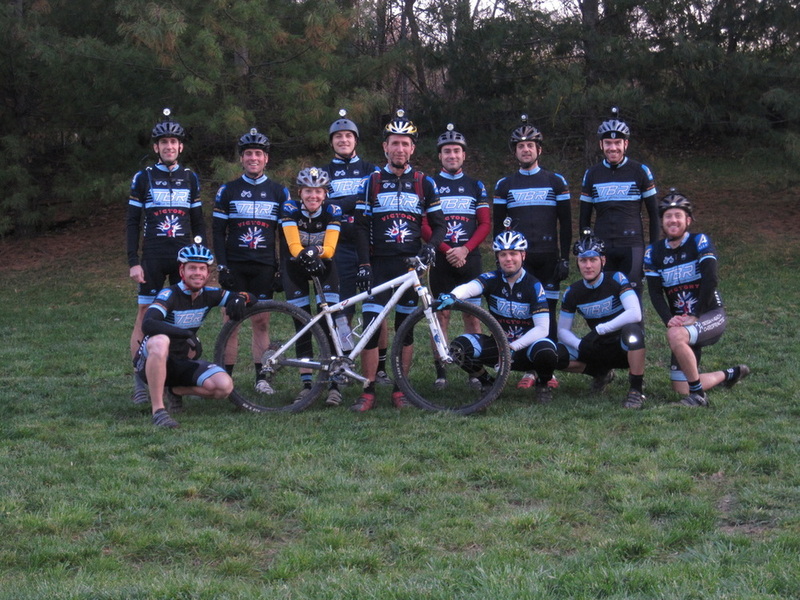 Highlights of the 2007 season included several podium finishes and a champion’s jersey in the Mid-Atlantic Super Series (MASS) Sport Single-Speed category. Between the 2007 and 2008 racing seasons the team grew in size three-fold with no sign of slowing. During the 2008 mountain biking season TBR established themselves as one of the strongest teams in the MASS with 27 cross-country race podiums ranging from beginner to elite, leading to nine MASS DelmarvaJobs.com XC Series Championship series podiums spread across all levels of competition. TBR members range in ability from Beginner to Elite, and in age from teen to senior citizen. In addition to participation in competitive cycling events, the team plays an active role in giving back to the community by organizing trail maintenance events, volunteering at local races, mentoring young riders, and advocating for multi use land/trail access. TBR offers beginners the chance to try their hand at competitive cycling, gives weekend warriors a group of friends to ride with, and provides veteran cyclists a reason to train. Collectively the team has been involved in the local cycling community for many years. For the 2010 mountain biking season TBR continued as a MASS racing power of close to 40 active regularly racing members. At every MASS race throughout the 2010 season TBR was guaranteed to earn several podium finishes and in fact won numerous podiums in the Toyota Team Cup XC Series Championship. Also, TBR again earned a spot on the podium in the MASS large team championship finishing third. In 2007 TBR was a Beginner/Sport level team, in 2008 TBR established themselves as a solid Sport team with some Expert level talent, in 2009 TBR was an Expert level team with some reluctant sandbaggers in Sport and a couple of brave souls making a splash at the Elite level. 2010 saw TBR become a talented Expert level team who continues to foster riders of all abilities with more riders stepping up to ride at the Elite/Pro level. Currently TBR is a solidly Expert level team with a formidable contingency at the Elite level, a handful of sandbagging Sport riders, and the ever-present, excited, and recruited Beginner crowd. With a team this strong our perennial goal is to unseat Bike Line in the MASS large team competition, and podium for the series in every category in which we enter a racer.